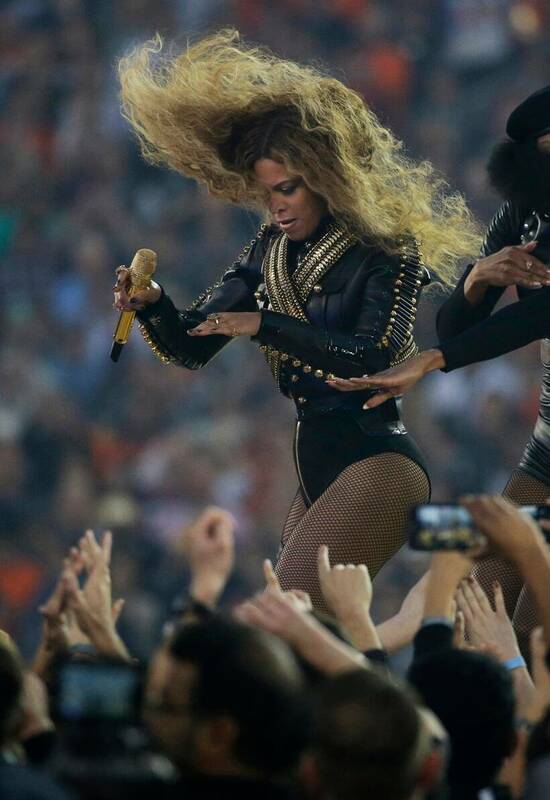 The music video features powerful images of a flooded New Orleans in the aftermath of Hurricane Katrina. 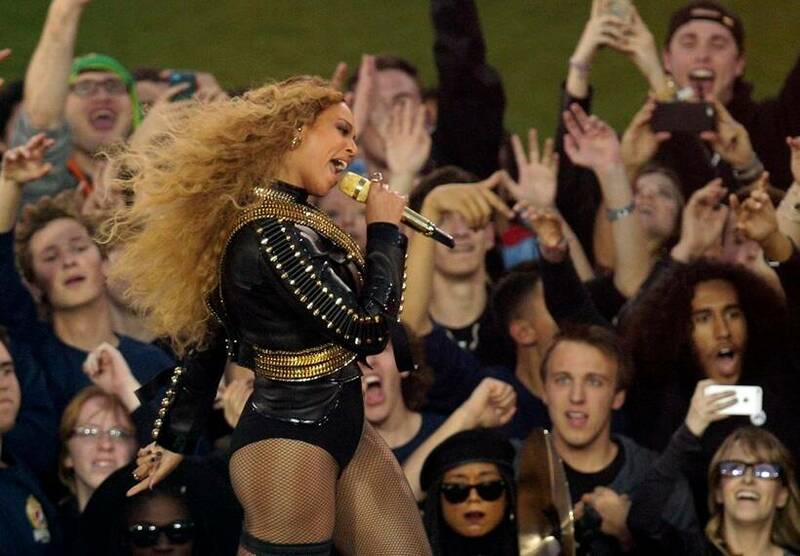 It also depicts graffiti that reads "stop shooting us," suggestive of the Black Lives Matter movement, which emerged in the wake of killings of unarmed black men, several at the hands of police. 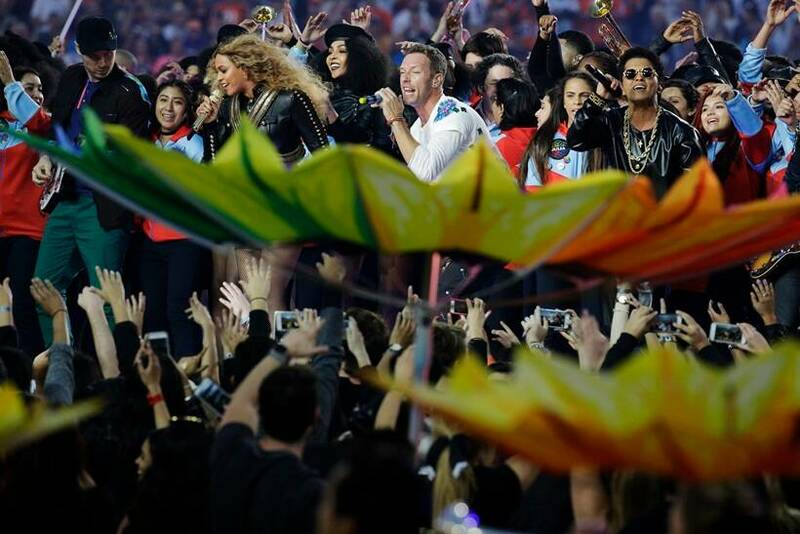 Coldplay headlined at Sunday's Super Bowl halftime show, but it was R&B super stars Beyonce and Bruno Mars who delivered the sizzle with a lively, upbeat production that paid homage to previous halftime performers. 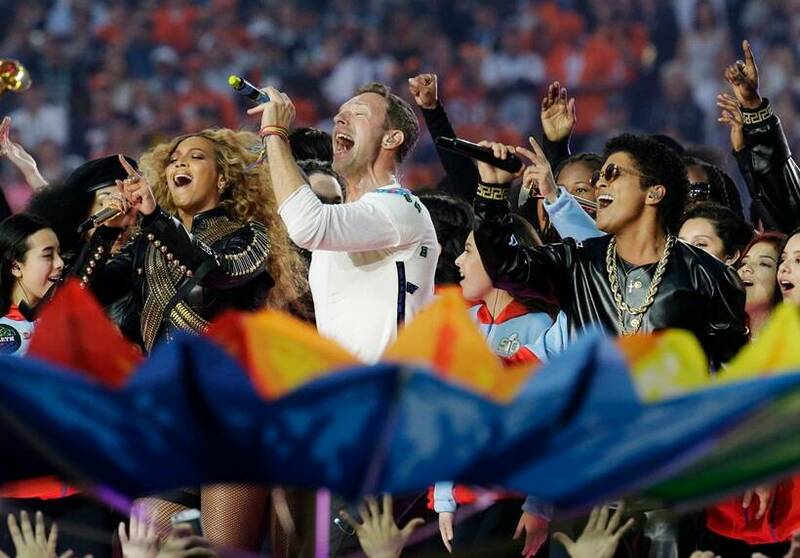 Known mainly for mellow hits, British alt-rockers Coldplay amped up the energy, staging "Viva La Vida" on a colorfully illuminated floor surrounded by dancing violinists. 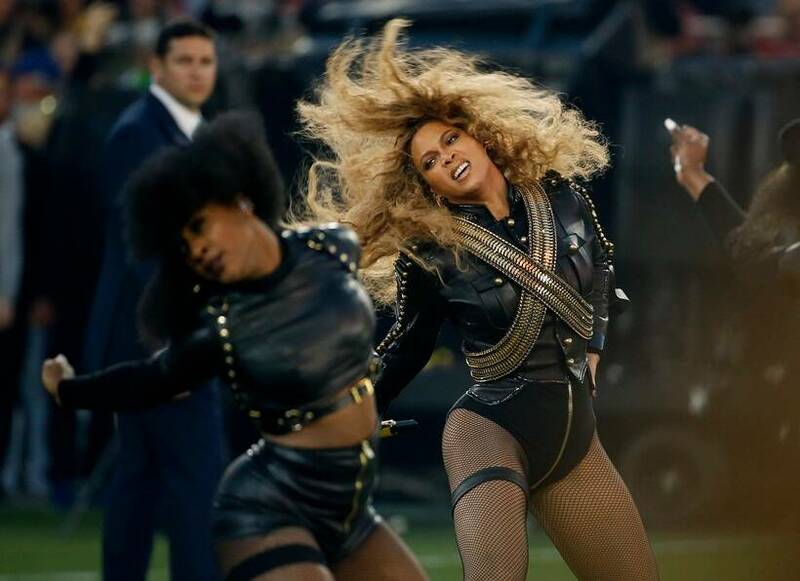 But all eyes were on Beyonce, who gyrated her way through her latest single "Formation" - a power anthem to race and feminism that made a surprise debut on Saturday. 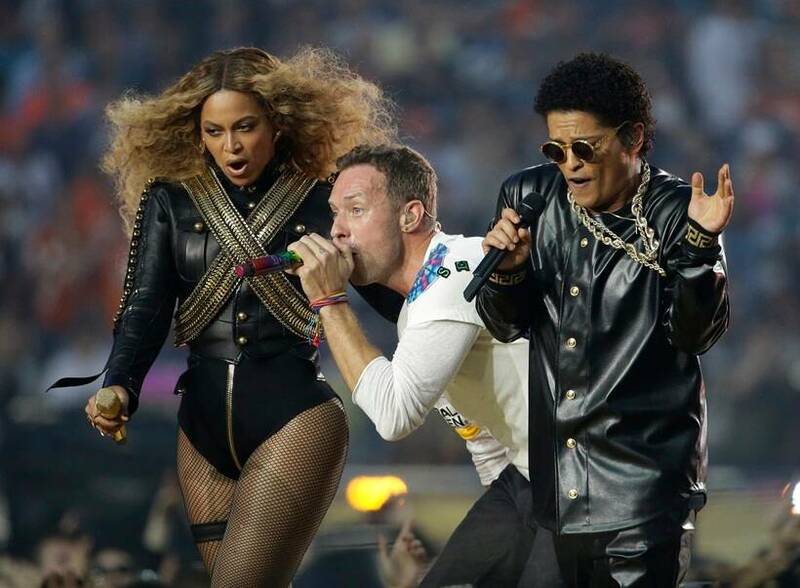 After Coldplay crowd-pleasers "Paradise" and "Adventure of a Lifetime," a black-leather-clad Mars, who headlined the halftime show in 2014, bounced through "Uptown Funk!," with producer Mark Ronson on DJ decks on stage. 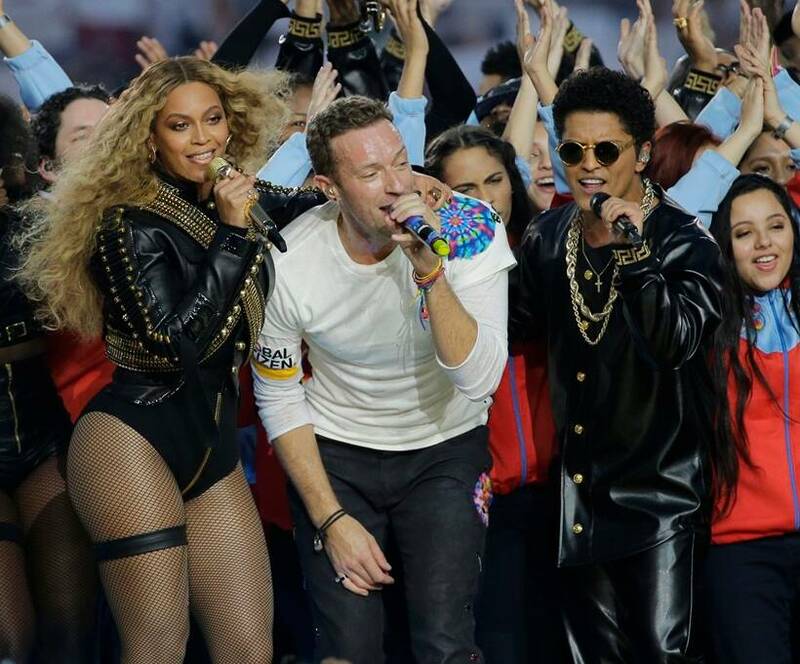 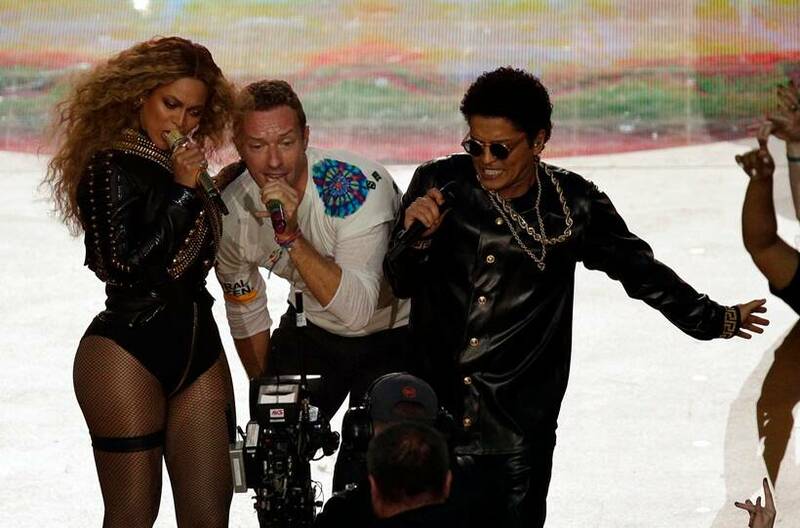 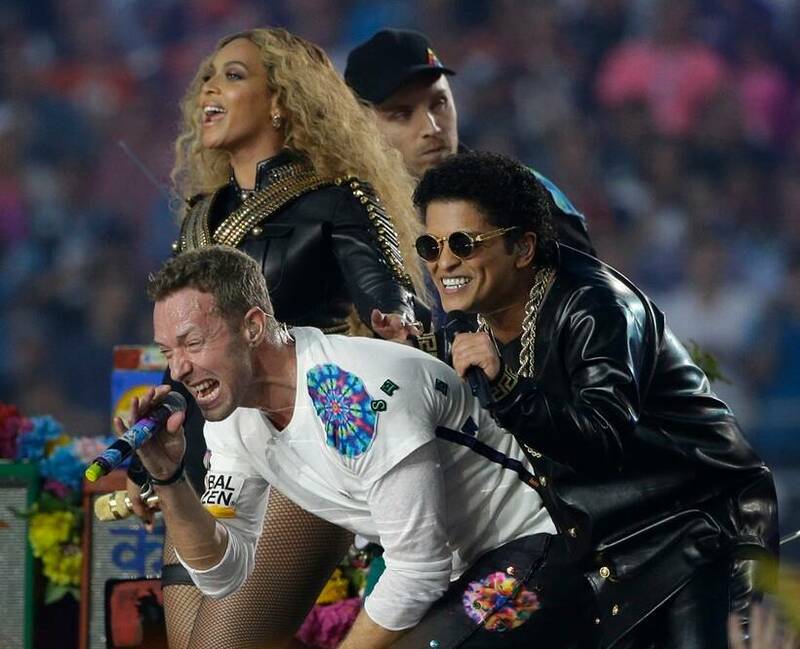 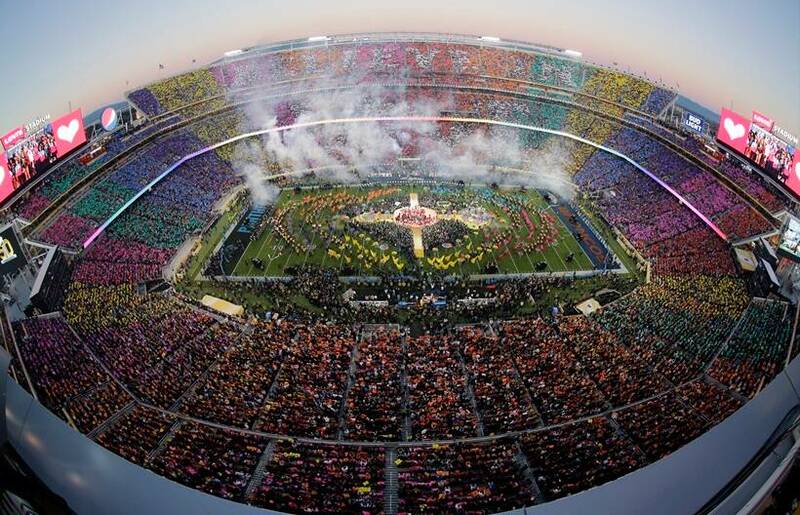 Beyoncé, Coldplay singer Chris Martin and Bruno Mars perform during halftime of the NFL Super Bowl 50 football game. 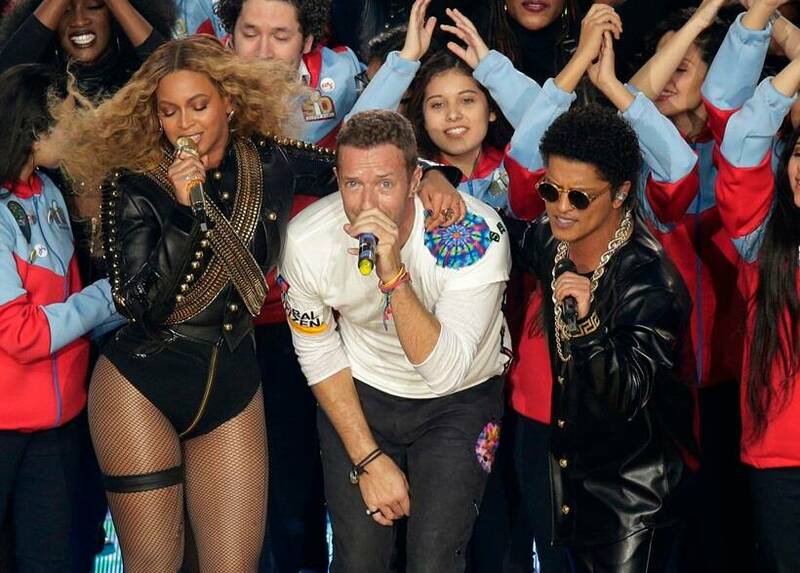 Even for music's biggest stars, the Super Bowl halftime show is the largest stage of their careers, drawing more than 100 million viewers to the live event and lighting up social media.